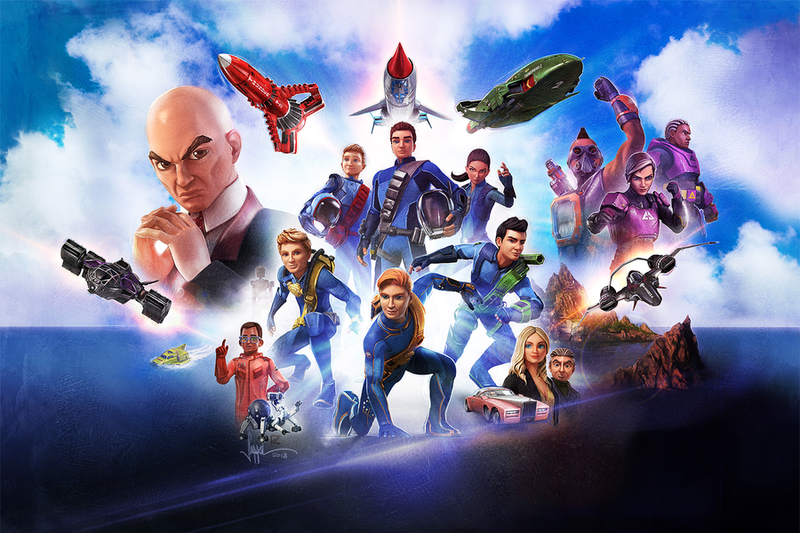 ITV Studios Global Entertainment (ITVS GE) has named Modern Brands and Planet Fun as exclusive toy distribution partners for the new Thunderbirds Are Go toy line in Australia & New Zealand respectively. Both Modern Brands and Planet Fun will begin to sell in the AW19 Thunderbirds Are Go range with immediate effect, having showcased the toy line at the Melbourne Toy Fair in March. Thunderbirds Are Go airs on both ABC ME and NINE Network in Australia, and on TVNZ2 in New Zealand, providing fantastic coverage across the FTA channels in both countries, and additional VOD exposure in New Zealand through kids platform HEIHEI. With Season 3 continuing in 2019 in the UK, broadcast in Australia & New Zealand will follow the UK premiere, with new episodes to support the launch of the toy line in the market. The series is a co-production between ITV Studios and New Zealand-based Pukeko Pictures, in collaboration with world-famous New Zealand studio Weta Workshop (Avatar, King Kong, The Lord of the Rings), so these are hugely significant and important markets for the brand. The first 9 episodes of Season 3, which aired in the UK from March 2018, reached 1.4M kids in the first run(*), with the broadcast platform rollout of further new episodes set to support the launch of the new toy line in AW19. The new toy line consists of collectibles, action figures and vehicles which encourage imaginative rescue roleplay and interaction between the characters and their craft.